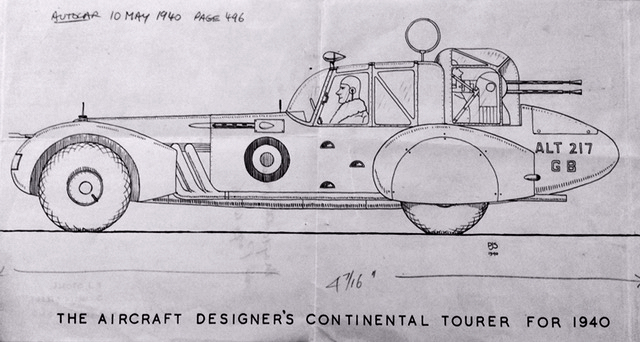 An amateur drawing published in the Autocar 10th May 1940 of the Aircraft Designers Continental Tourer. An Aircraft Designers Continental Tourer. Image courtesy of Simon Trewin.